At Riviera Finance, we look for opportunities for our colleagues to get involved in the community and showcase their expertise. 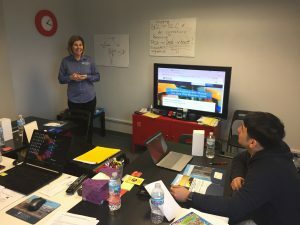 Kim Bukovsky, Midwest Development Manager, presented our Freight Bill Factoring Program and services to a transportation dispatching class on Saturday, February 25. 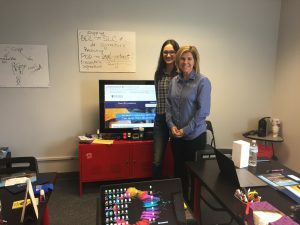 She joined Julia Vasco with Paradox Solutions Group in their dispatch training center for a lunch and learn presentation. Paradox Solutions Group is an in-class training center that provides everything you need to know about starting and establishing a trucking company. Riviera Finance has been providing freight bill factoring to the trucking industry for more than 45 years and can help you get paid faster. Our program allows you to factor your freight bills and get paid within 24 hours. Visit our website for additional information and approval on our invoice factoring program and services for your start up trucking company. ← What is Purchase Order Financing?